Hereford United manager John Trewick has said that he would like to bring a few new players in during the January transfer period but that may depend on others leaving Edgar Street. Nat Wedderburn, Jordan Mutch, Johnny Godsmark and Eddie Sonko have loan/short term agreements to January. "There are several players there I need to talk to and depending on what they are looking at that will obviously dictate what I can do in January," Trewick told BBC Hereford and Worcester. Meanwhile Lee Morris, who is returning to Hereford from Mansfield, is reported to have a slight groin strain. Crewe's front line will see one in and one out for their trip to Edgar Street. Striker Calvin Zola is set to be fit to start after missing the loss at Moss Rose, but winger Joel Grant will miss out with strained ligaments in his foot. Zola is set to return to the starting XI with defender Mat Mitchell-King and on loan midfielder Simon Walton also fit to start. Zola, who has scored 14 times so far this season, is yet to score in five attempts against the Bulls. His growing reputation this season has seen him linked with a move to the Championship, a rumour that is also surrounding teammate John Brayford. The ex-Burton man is claimed to be on the verge of a six figure transfer to Nigel Clough's Derby County. In goal for the Railwaymen on Monday will be loan keeper Steve Phillips, who is deemed surplus to requirements at Bristol Rovers. It could be his last game for the club with a number of sides claimed to be interested in taking him on a permanent deal. The 31 year old has turned down a permanent move to Gresty Road after failing to negotiate a pay-off with Rovers, after playing nearly 500 games in Bristol for both the Pirates and City. Meanwhile both Ryan Green and Darren Jones are possible doubts for Saturday's game according to the OS. Green has a strain and Jones has a cold. Lincoln will sign Fulham striker Michael Uwezu and midfielder Matthew Saunders on loan for January, and will take Joe Anderson and Adam Watts on permanent deals once the window opens. Full back Anderson spent part of last season at Woking, while central defender Watts has played 11 times for the Imps on loan this term. Port Vale have extended the loan of striker Lewis Haldane as he has failed to seal a permanent deal after failing to negotiate a release from his Bristol Rovers contract. Shrewsbury have lost the services of winger Jamie Devitt after Hull recalled him early, while fellow loanee Waide Fairhurst is likely to have played his last game for the club due to injury. Grimsby have lost defender Oliver Lancashire after Southampton recalled him due to an injury crisis. Loan striker Ben Wright has also gone back to Peterboro after limited first team games. Cheltenham have extended the loan of Blackpool loanee Ashley Eastham for a second month, and hope to extend David Pipe's loan from Bristol Rovers. Harry Redknapp has been telling the Tottenham 'Hotspur' fanzine about his time as a player with West Ham in FA Cup games. "We had some real nightmares at West Ham," he said. "I remember going to Hereford and scraping through when they were a non-league team. It was the year they famously beat Newcastle with that Ronnie Radford goal and that win really took the whole country by storm. We ended up winning 3-1 in a replay. "We also lost to Mansfield. They were in the old Fourth Division and we went there for a fourth round tie (in February, 1969). We had Moore, Peters, Hurst, Brooking, Bonds and we got beaten 3-0. It's safe to say it's a competition like no other!" Striker Lee Morris is set to return to Edgar Street after his loan at Mansfield comes to an end shortly according to the Mansfield OS. 29 year old Morris has made three starts for Mansfield since arriving at Field Mill in late November. The loan finishes after this weekend. How well his return will go down at Edgar Street is debatable after his recent comments about his time at Hereford. "The last couple of months have been long. "Hopefully I can do well enough to earn myself a deal (at Mansfield) until the end of the season. The way things have gone at Hereford it's just not worked out, I think me and the gaffer can really agree on that. I think it was the right time for me to get away." Hereford United Leon Constantine has been given an 'award' by the Potteries Newspaper The Sentinel. However it's not one he'll want to collect. In season 2006/07, Constantine scored 26 goals for the Vale and made it quite clear he saw his future on a bigger stage than Vale Park. After eventually getting his move to Leeds, his career has taken something of a dip. In fact, the ambitious striker is now playing for Hereford, fifth-bottom of League Two, seven places below Vale. The Met Office is currently predicting a hard frost in the Hereford area on Friday night. Temperatures are due to fall as low as -5C and only rise to 3C on Saturday. If their predictions are correct, it looks likely that a pitch inspection will be needed to see whether Saturday's League Two game at Edgar Street can go ahead. Saturday's League Two match at Edgar Street between Hereford United and Crewe Alexandra is all-ticket for away supporters. No tickets will be available on the day. The prices advertised on the Crewe OS are the same as usual for visiting supporters with one exception. Young Adults aged 11 to 15 can purchased a seated ticket for £9 whereas Hereford United supporters of that age are usually charged £12. This may be a mistake but with the Hereford United office closed today we've been unable to clarify. Meanwhile those Hereford United supporters under 10 who wish to purchase cheaper tickets for Saturday's game are reminded that the club office is only open until 12noon tomorrow (Thursday). It will not open on Friday. After two sucessive home postponements, the Bulls will be hoping to face Crewe on Saturday. The Bulls will be hoping for a repeat of last season's Edgar Street match between the pair, when Stephen O'Leary debuted with a stunning strike to help the Bulls to a 2-0 win. Since that game the two sides have met twice at Gresty Road, with the Railwaymen winning both games with the match earlier this season resulting with a 1-0 win with Billy Jones scoring the goal. The transfer window will have opened by the time the Bulls take to the field, and many fans believe that more new faces are needed to halt the current slow slide down the table. 22 players are currently scheduled to remain with the Bulls for the rest of the season, including loanees Craig King and Jonny Godsmark, but Lee Morris is likely to end his contract early after admitting disagreements with the management and further early departures are rumoured with a few underperforming players being left out of the first team squad in recent weeks. Crewe come to Edgar Street with their third different manager in four matches against the Bulls. Their win in August was one of the few sucesses for Gudjon Thordarson and Dario Gradi resumed his control of the team in October, slowly turning around their season to their current mid-table placing. After gaining seven points from nine on the road, their Monday 4-1 loss at Macclesfield was a surprise - especially to the 1,500 strong travelling support. They average two goals a game scored and conceded away from home since Gradi returned to power. Hereford United vs Crewe Alexandra, Edgar Street, Saturday January 2nd, 3.00pm. Bournemouth have quoted Peterboro £800,000 for striker Brett Pitman, according to Barry Fry. Fry told the Evening Telegraph that they would be interested if the price tag was around £500,000. Torquay are considering whether to appeal against the automatic £1,000 fine imposed by the FA after their had seven players booked on Monday. Port Vale have released midfielder Jason Jarrett from his short term deal after injuries hampered his progress. Rotherham have not ruled out moving back in for Rochdale winger Adam Rundle despite not extending his loan spell. Rochdale have extended the loan of Man Utd keeper Tom Heaton for another month. Crewe will not be signing goalkeeper Steve Phillips on a permanent deal just yet after the severance package offered by Bristol Rovers to end his contract early was insufficient to cover the drop in wages. The Railwaymen are now hoping to extend his loan spell, and may release fellow keeper Steve Collis to free up wages. Accrington have postponed their search for a new ground sponsor after adverse publicity from the bans handed to players who placed illegal bets put off companies. Notts County's hopes of signing full back Dan Jones on a permanent deal from Wolves is in doubt as they can no longer cover his full wages under wage capping rules unless they secure new investment. Wolves are insistent the deal is completed. Bradford have ended the loan of 20 year old Huddersfield keeper Simon Eastwood in favour of a more experienced keeper. Boss Stuart McCall believes he needs someone older to organise a youthful defence. Lincoln have transfer listed Richard Butcher, Aaron Brown and Sam Clucas. None of the three have played much since Chris Sutton's arrival. The Imps have extended Brian Gilmour's deal until the end of the season. 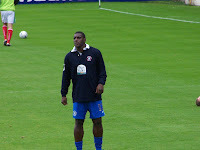 Former Hereford United striker Trevor Benjamin is now with his 25th club and he is still only 30 years old. Whether 25 clubs for a professional footballer is a record is unknown but it can't be far off. 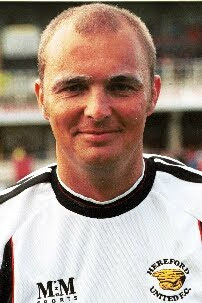 Since leaving Edgar Street he has played for nine different clubs. What will Maison bring to Chester? You really have to feel sorry for the supporters of Chester City. The club goes from one crisis to another and now they have the surprising appointment of Morell Maison as director of football which was announced last Saturday. No wonder manager Jimmy Harvey wants out (see earlier article). There may not be much money at Kidderminster but the club appears to be run by honourable people. "It is not a takeover at this moment in time, it is me coming in as director of football," Maison told the Liverpool Post. "I am here to bring my experience in to help the club. We are trying to get everybody on side, that includes the staff and the supporters, we will give the manager (Jim Harvey) the tools he needs. "I need to speak to the players and try and find a way forward. I am certainly not investing in the club, I have had bitter experience in the past. "I shall be making recommendations and working on potential investment. There is a timetable for other investors to get involved." If the new director of football isn't interested in investing in Chester why would anyone else? So who is Morell Maison and why might he be suited to Chester? In the past he has spent time at Halesowen and before at Kettering. Former Hereford United players Matt Clark and Rob Elmes were trying to run the club when a shareholders coup eventually ousted Maison. However the club had debts estimated at £250,000 when Maison left. It was placed into administration shortly afterwards. Then on October 8th Maison was arrested by West Midlands Police. It isn't known whether Maison's arrest had anything to do with the appearance in court a couple of months earlier of Guy Simpson, a former chief excutive of Halesowen. He was charged with evasion of customs duty after counterfeit cigarettes with a retail value of around £5.3m were imported into the UK. Before Halesowen Maison was involved with Kettering. One of their unofficial websites, P.A.T.G.O.D. published an article about Maison last August. Maison was sacked from Kettering in April 2007. The ongoing saga of Morrell Maison’s post Poppies career has been a quiet affair only briefly enlivened by football club take-overs, beating up players, touchline bans and ousting by supporter organisations. And yet when he was here he seemed such a likeable chap, had time for everyone, and a ready smile. Except that is for the two occasions I happened to catch his attention. He didn’t come across as such a nice guy then, I can tell you! The first occasion was at a reserve team game at Rockingham Road. You remember reserve team games? They tended to be held on a Wednesday night when the main stand was opened up to a combination of old foggies, people desperate to wring the last penny of worth from their season tickets and sad bastards with absolutely nothing else going on in their lives. Er.. and me of course. Anyway, the game was in full flow, and although he wasn’t directly in control of team affairs Morrell strolled around the technical area with a cup of tea in hand, offering the odd word of instruction. Suddenly there was a comically poor decision given against one of our players. It was such a laughable bad decision I let out a surprised and inadvertent snort or derisive laughter. It appears I was the only person in the small crowd to find this passage of play so funny, and I let this noise escape me at the exact moment the ground fell into almost perfect silence. My exclamation carried across the ground quite audibly. Certainly I seemed to find this incident funnier than Morrell did. I don’t know whether he thought I was laughing at his player, or didn’t like the sound of a fat bloke chortling loudly, but he gave me a stare of pure venom. It was a real Samuel L Jackson, bad-mother-f**ker look. I spent the rest of the game trying to avoid eye contact with our Manager and, more importantly, desperately trying to not find anything else on the pitch amusing – not as easy as it sound given that Darren Caskey was playing. I put this down as a one-off until an away game at Worksop. This was the game where Anthony Elding received his 15th Poppies red card in only his 12th game for us and we slithered to a defeat, which pretty much ruled us out of play-off contention. The team had indulged in a post match, halfway line huddle during which some of our supporters let them know how disappointed they were at the abject lack of effort, skill, and passion on display with various pithy phrases. As we continued to morosely file out of the ground, a curious feature of Worksop’s ground became worryingly apparent. In leaving the pitch the players walked straight across our path and into the dressing room. This served to quieten the mutterings amongst our brave terrace warriors. The players were mostly big buggers, and even if they couldn’t hit a barn door with a banjo there was no guarantee they couldn’t hit a double chin with their fists. At this point one of our more forthright fans known only as Rover couldn’t resist making a final critique of the day’s events. Unfortunately for me, Rover, at barely 5 and half foot tall, was to my rear. Consequently when Morrell’s head snapped in the direction of this latest comment he locked eyes directly onto mine. “Thanks Rover!” Instantly Morrell started answering back and heading in my direction, I guess not to thank me for making the effort to get to Worksop that day. Thankfully Nathan Koo Boothe, in almost certainly his only decent challenge in a Poppies shirt, held back his irate boss and the players smuggled the snarling Morrell down the tunnel. Twice I had come into the Manager’s line of vision and both times saw his ugly side. I wouldn’t have minded so much if I had given him cause on either occasion, but I was an innocent bystander both times. Given the way some fans shriek at our Managers week in week out to no effect I don’t know whether I should be disheartened or proud of my record! Crewe Alexandra could have a new manager before they take on Hereford United next Saturday if speculation in the Manchester press is to be believed. Jim Gannon, who left Motherwell after reportedly refusing to commit his future to the club, knows all about Cheshire football as he used to manage Stockport. He is said to have watched yesterday's game between Macclesfield and Crewe. It appears that Hereford United will have to purchase or hire a set of frost covers for next season according to an article on the Aldershot OS. Football League regulations have recently been updated. With effect from season 2010/11, each Home club shall provide full pitch frost covers and/or under soil heating (the specification of which shall meet the reasonable satisfactiion of the Executive) which shall be operated to the extent necessary to procure, so far as it is reasonably possible, that the pitch is playable on the occasion of each match. Former Hereford United player Jimmy Harvey looks favourite to land the vacant managers position at Kidderminster. Harvey is currently at Chester City but it appears he hasn't signed a contract with them and would be free to move if terms are agreed with the Conference club. "Of course, it is flattering to hear that the fans would like to have me as the manager,” said Harvey as reported by the Worcester News. “Kidderminster are a good side and they are just outside the play-offs and being linked with jobs doesn’t unsettle me with what I’m currently doing at Chester. "With the way things are at Chester at the moment I keep reviewing my situation at the club. Chris Sarginson has been named as the referee for next Saturday's League Two match between Hereford United and Crewe Alexandra. The last time Sarginson refereed at Edgar Street was for the Trophy game against Aldershot in early October. The game was tied 2-2 at full-time and the Bulls won through on penalties. 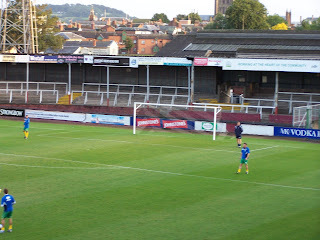 James Walker and Mathieu Manset scored and no cards were given to any Hereford player that evening. The previous time Sarginson officiated at Edgar Street was last season in the game between the Bulls and Hartlepool United. He didn't book any Hereford players in that game either. Steve Guinan scored the only Hereford goal in the 1-1 draw. To date this season the young official has been in charge of 18 games. In them he has given out 47 yellow and 4 red cards. It is his second season refereeing at this level. Chester have appointed Morrell Maison as Director of Football at the club. The controversial figure, who is serving a touchline ban after a punch up with one of his own players, was ousted as owner and manager of Halesowen in the summer after a fan boycott. News of his appointment was only relayed to manager Jim Harvey half an hour before their Boxing Day game. Notts County chief Peter Trembling has told fans they have the finances to complete the season without further investment. In a two hour question and answer session on an internet forum he rubbished claims that players had not been paid, and that investment was secured until the end of the season when he took over the club. He added that he and Sven Goran Eriksson are to meet with a second potential investor after today's game with Burton, but fans noted he opted not to answer some sensitive questions. Crewe have made defender Patrick Ada available for loan. The former Histon man is not in Dario Gradi's plans. John Eustace scored three minutes into injury time to rescue a point for Watford. Alan Connell was one of twelve players booked by referee J Singh as Bournemouth beat Torquay, with the Gulls now facing an FA fine for getting seven booked. On loan Bull Lee Morris played the opening 49 minutes of Mansfield's win over Cambridge as a winger before being subbed. The Bulls will finish 2009 in 20th place after today's results. Macclesfield's 4-1 win over Crewe means the Bulls slip to their lowest placing for nearly three months. Darlington's game was called off meaning they end the year 14 points short of safety, while Grimsby are five points adrift after a 2-1 home loss to Port Vale. Cheltenham beat Dagenham 2-0 to close the gap to the Bulls to two points. At the top Rochdale beat Morecambe 4-1 to keep a five point lead and become the first club to pass the 50 point mark. Bournemouth kept pace with a 2-1 win over Torquay, while Rotherham hold third after their match was postponed. Notts County won 4-1 at Burton to retake fourth, and Shrewsbury took advantage of postponements to close the gap on the play-offs to goal difference with a 3-1 win at Bradford. Bury won 4-2 at Accrington to stay level on points with the Shrews. In the Conference Chester's hopes of starting 2010 on zero points were dashed by the weather. Oxford were held 1-1 by Salisbury, with Stevenage failing to take advantage with a goalless draw at home to AFC Wimbledon. Forest Green also had a goalless draw with Tamworth, while Kidderminster lost 2-1 at Rushden. The HUFC Supporters team ran out winners by the odd goal this morning when they notched a 2-1 victory over their visiting Aldershot counterparts. Goals from Luke Griffiths and Mark Sands overcame an opener from Shotsman Andy Hindmarsh. The pitch at Hereford Leisure Centre, although firm, was perfectly acceptable and the teams produced an entertaining and competitive match. The Shots opened the scoring through Hindmarsh but were soon pegged back when Luke Griffiths slotted home the equaliser after Sands had nutmegged his marker to provide the assist. Chris “Wolverine” Oleksy was quickly of his line on a couple of occasions to thwart the Aldershot attack before Sands sealed the match with the winning goal. Cutting in from the right, Sands deceived Shots’ keeper Tony Roberts by cunningly using his shin rather than his boot to chip the ball into the net. The Hereford fans may have added to the score but Lucas Davies chose to demonstrate his running track distribution ability rather than attempt to put the ball in the net. The Shots mounted several late attacks including sending ‘keeper Roberts forward for corners but a resolute defence and a superb performance by the home linesman was enough to see the Bulls Supporters through to the final whistle. HUFC: Oleksy, Harrison, Watts, Smith, Oliver M, Davies, Oliver I, Griffiths, McCutchan, Sands, Bendall. Fresh Legs were thankfully provided by Kevin and Brian Goodwin. Jimmy Harvey has told BBC Hereford and Worcester that he would like the chance of the manager's post at Kidderminster. "Any manager would be interested," said Harvey, who still lives in Hereford. "They are doing extremely well and are a very talented bunch of players, just outside the play-offs. "It's flattering to think they'd like me but at the moment I'm at Chester. "I have not discussed it with Chester so I will have to wait to have a chat with everybody, but all things in good time." Meanwhile former Stockport manager Jim Gannon has been sacked from his post at Motherwell. This afternoon's game at Edgar Street against Aldershot has been called off after a pitch inspection. This is the second successive Hereford United home game that has been lost to the weather. The two fixtures will now take place on Tuesday evenings later in the season. Hereford United's next home game is on this coming Saturday when Crewe are the visitors. Currently the forecast for the weekend is for more cold weather with the possibility of both snow and frost. The Official Hereford United website has confirmed that there will be a pitch inspection at ten o'clock this morning following the heavy frost overnight. As at 8am the Met Office reported a temperature of -3.7C around Hereford. In some parts of the county there is freezing fog to add to the problems. The League Two game between Darlington and Lincoln has already been called off as have two games in the Conference at Altrincham and Wrexham. This afternoon's referee at Edgar Street is set to be Craig Pawson from South Yorkshire. Meanwhile the Westfields home game due to take place at 1pm has been called off due to the frost. Dave Boddy has decided to give up being a director of Worcester City. His decision, made public on Christmas Eve, comes in the wake of a petition asking him to quit. He was chairman of the club until last year. Ground problems at the club are causing the directors real problems after the proposed move to Nunnery Way ran into difficulties. "My resignation has nothing to do with the petition orchestrated by a small minority," Boddy told the Worcester News. "I have no energy left and have given it everything. I have given the club 30/40 hours a week — on a voluntary basis I might add — for numerous years at great personal cost in terms of family, finance, business and health and can give no more. "However, what has disappointed me most has been the many lies, half-truths and libellous things that have been written by a small minority of cowardly faceless people on message boards, comment sites and social networking sites. "I cannot be personally blamed for the credit crunch which has played a massive part in the failure to deliver the new ground and the planning department of Worcester City Council have also got a lot to answer for." Different views of how to plan for the Boxing Day match at Torquay have emerged. For Torquay, Paul Buckle allowed his players the day off. "The players had Christmas Day off from training, this is my third Christmas as a manager and the last two have been a defeat and a win and I didn't think we played well in both so we changed things and gave them that particular day off," said Buckle in his post match interview reported on the Torquay OS. "I thought about it very hard and ultimately Christmas Day is a special day, it means a lot to many people including myself and the players are only human, they want to be with their family and I was confident that we had done enough during the past couple of days to give them the time off, leave them alone and hope that they would then be desperate to come in today and want to play." Had the fixture been played at Edgar Street would the two managers have taken the same approach? In advance of tomorrow's game at Edgar Street, Aldershot manager Gary Owers and former Bull John Grant have pre-viewed the game. "We stuck to our task on Boxing Day and in the end it was a good victory," Owers told the Shots OS. "We had to work hard for it though and Barnet made it difficult for us, especially in the first half. We made the changes in the second half with an eye on Monday to give the players a bit more of a rest so they will be fresh and raring to go at Hereford. We are doing very well. We have won four of our last five league matches and that shouldn't be underestimated. We are progressing up the league and we have a good bunch of players with a good spirit." "It's back to Hereford on Monday," Grant told the Shots OS. "It is a former club of mine and wasn't the happiest time of my career but there are some good people at the club and it will be good to go back. There has been a bit of rivalry between the clubs over the years and it is a game to look forward to. What we need to do is to make sure that we don't fizzle out as we did last season after Christmas. We have a good squad here and we know what we are capable of achieving." Football clubs across the country are breathing a little easier today after news emerged that John Batchelor has been banned from being a company director. The serial club hunter, who aided York's fall into the Conference and wanted to rename Mansfield after a fictional TV side, received a seven year ban for illegal activities while a director of two companies that he took into Administration. He will be free to terrorise lower league sides again in 2016. Stockport are set to sell midfielder Carl Baker to Coventry to ease their immediate financial worries. The former Morecambe and Southport man cost the club £175,000 in the summer of 2008. Northampton are to extend defender John Johnson's loan from Middlesboro until the end of the season. The 21 year old has played 15 times since arriving in September, but will miss tomorrow's match as his current 93 day loan has expired. Former Kidderminster player Jeff Kenna wants their manager's job after returning from a spell in Irish football. Kenna managed two sides in the League of Ireland before returning to England recently to act as a community coach for Birmingham. Craig Pawson from South Yorkshire is set to referee tomorrow's League Two match at Edgar Street where Hereford United will take on Aldershot. The Bulls already met Pawson once this season. That was at Rochdale when the home team won 4-1. On the day Pawson sent off Ryan Green after the defender collected two yellow cards. He also booked Darren Jones and Sam Gwynne. To date this season Pawson has been in the middle for 17 matches in which he has given out 51 yellow and 2 red cards. Meanwhile Ryan Valentine is just one booking away from suspension after he collected a yellow card in yesterday's match at Torquay. The Bulls face Aldershot on Monday in their last game of 2009. When you think Aldershot and Bank Holidays, the mind wanders back to 2003. A sunny August monday saw the Bulls come back from two down in ten minutes to lead 3-2 after an hour and clinch a 4-3 victory in the final minute with David Brown's overhead kick sending the bulk of the near-5,000 crowd home well entertained and happy. The game also saw Shots man Fiston Manuella moon the Meadow End. Overall, the reformed Aldershot have not beaten the Bulls in ten attempts and the pair drew twice earlier this season 2-2 - once at the Rec with the Shots scoring twice in the last five minutes, and once at Edgar Street in the JPT with the Bulls winning on penalties. The Shots will bring two ex-Bulls back to Edgar Street. Veteran goal-promiser John Grant is, three months after indicating his full-time career was over, in form after three goals in two games while Marlon Jackson has assisted his recovery after half a dozen games on loan from Bristol City. The Shots have been a bit random recently, hammering Barnet and Dagenham, but being hammered themselved by Burton since Gary Waddock made his excuses and left. Hot property Marvin Morgan is currently injured, and will hopefully be sorely missed. Hereford United vs Aldershot Town, Edgar Street, Monday 28th December, 3.00pm. Here is today's match report courtesy of Kevin. Hereford United fell to a Boxing Day defeat by the seaside after a 1-0 loss at Torquay, in front of 3,792 fans at Plainmoor. The only goal of the game was scored mid-way through the first-half when Nicky Wroe converted a penalty after a foul by Darren Jones on left-winger Jake Thomson. The Bulls failed to respond in the second-half and only notable chances came late on through Marc Pugh and sub Gavin McCallum, whilst Leon Constantine had a close-range finish chalked off for offside. After 11 days without a game, Hereford introduced Ryan Green, Ryan Valentine, Richard Rose and Johnny Godsmark with Keith Lowe, Sam Gwynne, McCallum and Tyler Weir making way. The Gulls’ main outlet throughout the game came on the left hand side from Thomson, who constantly threatened when on the ball. An early strike by Thomson failed to trouble Adam Bartlett whilst at the other end, a poor free-kick from Jordan Mutch was only cleared as far as Pugh, who saw a shot clear the woodwork. The decisive goal came after a quick throw on the left which Thomson picked up, skipping past a couple of defenders and into the box before his run was eventually bought to an end by a lunging tackle by Jones. Referee Steve Tanner had no hesitation in giving a spot-kick, which Wroe stepped up to take and convert, despite Barlett getting a slight touch to it. The Bulls tried to respond to the set-back and had their own shouts for a penalty when Constantine’s pressure on defender Kieran Charnock saw the ball strike his arm but Tanner waved away the appeals. Craig King’s neat shuffle past a defender allowed him space to shoot from 20 yards but he dragged his shot past the near post. Bartlett had to be on hand to deny the lively Thomson again, after he cut in from the left before firing powerfully towards the front-post but he was denied by a parrying save from the ex Kiddy ‘keeper. Minutes later, a cross from the right was met by Thomson but Barlett again was on hand to save his close-range header. Towards the end of the half, Hereford had their first-shot on target when Constantine laid the ball back to Pugh, who curled a shot into the arms of Michael Poke. The second-half offered little excitement in terms of goalmouth action, until the latter stages. Wayne Carlisle’s tidy cross from the right was guided past the far post by Elliot Benyon before Hereford introduced Mathieu Manset in place of King up top. United’s main threat was on the right-wing with Godsmark and a through ball by Mutch found the Newcastle loanee who in turn slipped in Constantine but his low strike was diverted behind by Poke’s foot. A rising shot by Adam Smith failed to trouble Bartlett before both sides made subs. Matty Done came on for Godsmark, and soon after McCallum replaced Valentine, who was booked for a rash challenge minutes previous. The Gulls introduced Scott Rendell up front with Benyon’s shift coming to an end. With the game approaching an end, Hereford stepped up their game although they were lucky not to be completely out of it after Tyrone Thompson slipped in Smith inside the area but Bartlett’s reflexes meant the poked finish was blocked away. John Trewick’s men had a couple of good opportunities to equalise in the closing moments, with firstly Pugh firing over from the edge of the box following a cross from Done on the left. Constantine saw his strike disallowed after being set up by Pugh, but the former Shrewsbury winger was adjudged to have been offside despite the appeals that it was in fact Manset, who didn’t appear to be interfering with play. In stoppage-time, a clearance by Green was flicked on by Mutch into the path of McCallum who snatched at the opportunity, dragging his shot a long way past the post despite having time and space to run into and a possible one on one situation with Poke. It was an extremely disappointing performance by Hereford against a Torquay side who didn’t look too special themselves. Whilst United had the larger chunk of possession, the Gulls had more ideas in front of goal. The Bulls are lacking that killer instinct in the final third, and the constant chopping and changing with the line-up isn’t helping the situation. A settled eleven in 2010 will hopefully see results pick up. Trewick will be aiming to end 2009 on a better note than recent weeks when Aldershot visit on Monday; don’t forget the supporters match at the Leisure Centre at 11am on the same day! Hereford: Bartlett, Valentine, Green, Jones, Rose, Godsmark, Mutch, Lunt, Pugh, King, Constantine. Subs: Adamson, Lowe, Gwynne, Wedderburn, Done, McCallum, Manset. Torquay: Poke, Mansell, Robertson, Charnock, Smith, Carlisle, Thompson, Wroe, Thomson, Zebroski, Benyon. Subs: Bevan, Nicholson, Ellis, Stevens, Hargreaves, Rendell, Sills. Hereford United manager John Trewick thought that the penalty, which settled the game, changed the course of the game. "We had got plenty of territorial advantage and had passed the ball quite well," Trewick told BBC Hereford and Worcester. "They got into our penalty area from a throw-in too easily and it was a soft penalty from our point of view. "That changed it in the first half and obviously they got their tails up going a goal ahead. "We kept battling away and had a goal disallowed. Marc Pugh insists he was on-side and Mathieu Manset who was the one offside wasn't involved in the play. "I thought the penalty was the turning point. It was soft and we suffered from it. "I don't think Torquay were particularily stronger than us but they competed well. "We are struggling to find a level of consistency and struggling to keep clean sheets." "The pitch was quite heavy and one or two have got knocks. So we will have to see what happens Monday morning. We will see who is fit for the game against Aldershot. "I don't think the fixture list was particularily kind as we've had to travel all the way to Torquay last night to prepare for the game. "What I need to do now is to decide whether after the long journey back - some players won't get home until 10.30pm - whether it is worth dragging them all the way to Hereford tomorrow to do twenty minutes cool down. "I might well let them rest at home and then we'll probably meet on Monday morning at 11am and we'll take stock." Below are most of the stats from this afternoon's game at a cold Torquay where Hereford United lost their fourth game in a row. Attendance: 3792 with around 170 from Hereford including several Santas one of whom had to return to his slay before the end of the match. He didn't miss much. Josh Gowling was sent off for Gillingham as they lost to Brentford. John Grant scored twice for Aldershot as they hammered sorry Barnet. Matt Gardiner scored a late consolation for Solihull as they lost at Hinckley. Stephen Jennings scored for Motherwell, but they lost at home to St Johnstone. Loan Bull Lee Morris was subbed as half time as Mansfield lost 3-0 at York. Rochdale saw their lead cut at the top of League Two after a 2-2 draw at Crewe, with Bournemouth cutting the gap to five points after a 1-0 win at Cheltenham. Dagenham lost 1-0 at Northampton to fail to capitalise on Rotherham's postponement and take third place. Accrington beat Morecambe 2-1 to move within a point of the play-offs. Aldershot moved up to fifth with a 4-0 win over fast sinking Barnet. At the bottom both Darlington and Grimsby had their games postponed, with Lincoln taking advantage by beating Chesterfield 2-1 to move five points clear of the drop zone. Macclesfield drew 2-2 at Shrewsbury to move within a point of the Bulls. In the Conference Oxford's lead is down to two points, with two games in hand, after their game today was called off. Stevenage cut the gap with a 3-1 win at Cambridge. Kidderminster kept pace with the play-offs in beating Chester 2-0, while Forest Green beat Salisbury 3-1 to move within three points of safety. The Bulls lost their fourth game on the trot with a 1-0 loss to Torquay in today's League Two match. Darren Jones gave away a penalty that Nicky Wroe converted for the home side to hand them all three points in another game where the Bulls dominated posession but failed to create enough chances. The Bulls drop two places, with the Gulls and Northampton moving above on goal difference. Four changes:- Bartlett, Valentine, Green, Jones, Rose, Godsmark, Lunt, Mutch, Pugh, Constantine, King. Subs: Lowe, Gwynne, Manset, Done, Wedderburn, Adamson, McCallum. The Daily Mail is reporting that Notts County's players were not paid their wages this month. The paper states that goalkeeper Kasper Schmeichel heads the list of players that are set to be offloaded in the January window unless new owner Peter Trembling can secure funding to keep their expensively assembled squad. Their best hope appears to be Norwegian company Ludo Mobil, who have ambitious expansion plans into the UK. Owner Ivan Vollvik sold previous mobile company Chess for approx £260million, but lost most of it on the stock market, before setting up Ludo. The Magpies' home match with Grimsby this afternoon has been postponed, one of three to be called off in League Two so far today. Ex-Bull Gareth Sheldon has signed for Atherstone on non-contract terms following the demise of former club King's Lynn. The 29 year old has spent most of the season out with a knee injury that will require surgery in the future. Burton have secured keeper Artur Krysiak on loan for the rest of the season after failing to secure a permanent deal. Krysiak will be released from parent club Birmingham in the summer. Rochdale have released midfielder Clark Keltie. The former Darlington man has played on loan at Chester and Gateshead this season. Kettering chairman Imraan Ladak has been banned from football for failing to pay a previous FA fine. He will not be able to manage, coach, play, or take up any administrative duties until he pays the fine and £3,500 costs. Chester players have abandoned their strike over unpaid wages despite not receiving the money promised before Christmas after advice from the PFA. Northwich have agreed a CVA deal after a Christmas Eve vote. The deal was agreed after the club cleared footballing debts, allowing the taxman to OK their third offer without seeing any other party in the CVA getting their full debt. Crewe striker Calvin Zola is a target of QPR according to press speculation. Stockport's Administrator says they have held further talks with prospective purchaser Jim Melrose on Dec 22nd, after Melrose held 'positive' talks with the Football League and owners of Edgeley Park. They hope to complete a deal in mid-January. Macclesfield have signed former Accrington striker Craig Lindfield on a short term deal. He was released from Accrington in the summer after two goals in 20 games during the second half of last term. There will be full match commentary of Hereford United's League Two match at Torquay on BBC Hereford and Worcester this afternoon. However, as ever, this will only be relayed on their 94.7FM frequency. Keith Hall, who usually is the commentator for Hereford games, is taking a short break so Terry Goodwin will be behind the microphone at Plainmoor. The forecast for Torquay is for a day of sunny periods with the probability of a few showers. Temperatures are expected to reach around 9C. Hereford United chairman Graham Turner has given Richard Prime of the Hereford Times an update on how the proposed Blackfriars Development at Edgar Street is progressing. “It has been a long-drawn out process but we now have an application in for a grant and have been assigned a programme manager,” said Turner. “He will review the application over the next month and, I imagine, pay some site visits. “We are tied in with the Richardsons for the £1m plus loan arranged by the previous board and that has not gone away. Obviously they want to make something out of it but we have reached an agreement of what we want for the football facilities. “It looks likely that we will get a stand with at least 1,500 seats, new canteens, toilet blocks and disabled facilities. There will probably also be new facilities for visiting supporters in the far corner. “We have to give one-hundredth of the seating capacity to disabled facilities. “There is some tweaking of the plans which we hope will be done by January 7. “We will then have a meeting with the Richardsons and Herefordshire Council on January 14 - because of the size of the grant we are seeking, it will have to go to the Football Ground Improvement Fund full board which will meet in March. “It is estimated that from the time they get on site, it will be completed within six months. “It will still be touch-and-go for the start of next season. Not too much time off for Hereford United manager John Trewick and his squad this Christmas. With an away game at Torquay on Boxing Day, there will be training tomorrow before the coach journey to the South Coast later in the day. "It’s something that I have always done, it’s normal the day before a game that you should train," Trewick told the Worcester News. "Travelling a large distance on the day of the game, especially with the location of the players with some living north of Hereford, is not ideal. "We are due to travel down on Christmas Day evening after training in the afternoon. What we want to do is prepare as well as we can. Christmas is a busy time for footballers and you have to do what it takes." "In the last couple of matches, Torquay have done very well and brought in one or two new players, such as Chris Zebroski on loan from Wycombe," said Trewick. "Hopefully, we will give a good account of ourselves and, if we play well, we have got a good chance of getting a result." On the injury front Edrissa Sonko remains a doubt with a groin problem but Ryan Green should be able to play despite his head injury sustained in the Litten Tree Pub in Hereford. Bulls News has been forwarded lists of current and previous directors of Hereford United's several different companies. We publish the lists for the record. Interestingly two of the former directors have been in prison. 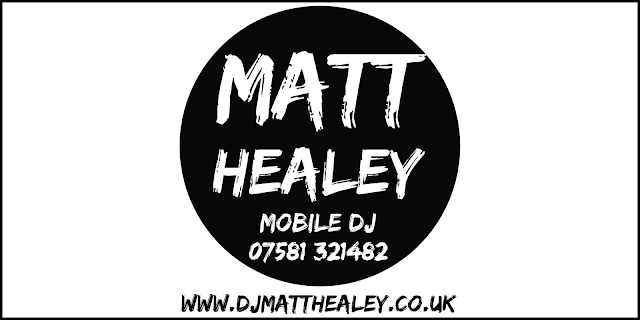 Address: 8 Folly Lane, HR1 1LY, Hereford. Address: Carey Court, Carey, Herefordshire, HR2 6NF, Hereford. Address: Frandor, Roman Road, Herefordshire, HR4 9QW, Hereford. 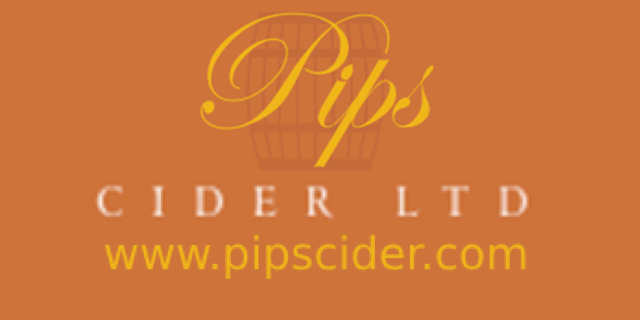 Address: Brewery House, Norton Canon, HR4 7BG, Hereford. Graham Turner, Joan Fennessy, Mark Edwards (Retired managing director. He is currently a director of M&M Direct Ltd and M&M Sports Ltd) and Veronica Richardson from Mortimers Cross near Leominster. FIFTH: H.U. Systems Limited which deals/dealt in pre-packaged software. As far as is known the only director is Graham Turner and the company address is Edgar Street, Hereford. The company was originally set up to market the turnstile system created by Gary Watts, previous director Robin Fry's minion. Supposedly Hereford United's computerised turnstile system was marketable in the early '90's. When and why Graham Turner 'bought' the company isn't known. UPDATE December 26th: Bulls News has been told this company was dissolved in March 2000. The Bulls travel to Plainmoor for a League Two match on Boxing Day. Since last meeting the two sides have been up and down, and down and up. While the Bulls went up and down, the last game of the 2006/7 season had the mid-table Bulls visit the already-relegated Gulls. The goalless draw that day, featuring Jordan Fitzpatrick's only Bulls appearance and future Gull Tim Sills' first taste of the Plainmoor pitch for the Bulls. The draw is king in this fixture, with seven of the last ten meetings ending up in stalemate. It's also one for not a lot of goals, with no side scoring three or more in 13 attempts. The Gulls go into the Boxing Day clash on an upturn of form after former Bulls trialist Chris Zebroski returned to the club. He went to Torquay in the first place after the Bulls rejected a season long loan move, and went on to score 19 times in their opening Conference season. His return has seen him score four in five games, netting in each of the last three, in a move that has seen Tim Sills again fail to prove his ability at League level. Also in the Gulls side is Chris Hargreaves, one of Graham Turner's first loan signings for the Bulls. In the eleven years since ending his Edgar Street stay he has been dumped out of the League, lost in two Conference play-offs, and finally won promotion at the third attempt. Sound familiar? For the Bulls the defence will again be in question for the game. After being stripped of defenders to the point of playing debutant Tyler Weir against MK Dons the finally confirmed loss of Darren Dennehy and the departure of Danny Blanchett probably couldn't have come at a worse time. The team as a whole seems to be in something of a state of limbo to the point that if you asked a dozen fans for their best XI you'd get a dozen different answers. Some players will have to prove their worth to avoid being replaced in the January sales, others will have to justify their spots as one eye gets cast on the summer trading with every player out of contract. Torquay United vs Hereford United, Plainmoor, Saturday 26th December, 3.00pm. The Football League has launched a nationwide search to find the EA Sports 'Fan of the Year', with the winner to be honored at a spectacular gala dinner in London in March 2010. Anybody who knows a fan who has gone above and beyond the call of duty is encouraged to put their nomination forward, along with the reason why they feel their nominee should win this prestigious award. Alternatively, entries can be posted to; EA Sports Fan of the Year, The Football League, 30 Gloucester Place, London, W1U 8FL. The Football League's Commercial Director, Stewart Thomson said "The Football League Awards has become an important fixture on The Football League calendar. Once again, this year's ceremony will present us with an opportunity to recognise the outstanding contributions made to The Football League by fans, players, clubs and sponsors alike. "The Football League relies on the support of dedicated fans, and the awards are a fantastic way for us to identify and reward such loyalty. I would encourage fans to put forward any individuals they believe should be in contention for the award, and give them a chance to receive the recognition they deserve." The nominations for the Fan of The Year Award will be judged by an expert panel, including representatives from The Football League, EA SPORTS and FourFourTwo. Hereford United have reported that Danny Blanchett has returned to Peterborough after his loan spell came to an end. They also confirm that Darren Dennehy has returned to Cardiff City as indicated on Bulls News two weeks ago. Meanwhile the Hereford Times says that defender Ryan Green was hurt in the Litten Tree Pub in Commercial Road last Friday evening. "I am OK," Green told the paper. "The dead leg which I first had at Barnet has cleared up and I only suffered a small cut after I was hit on the side of the head with a bottle. "I was out with a few of the other players in the pub when the incident happened but I didn't let it spoil my night." Police have arrested a man in connection with the incident. Green was said to have been hit on the head with a bottle. Torquay have lost their youth coach just weeks after he joined when he opted to take a management job with a Swedish third division side. Rotherham have ended the loan of Rochdale winger Adam Rundle, ending talk of a permanent January deal. Bournemouth midfielder Mark Molesley has delayed surgery on a stress fracture in his foot in the hope that rest will cure it rather than being out for the season. Notts County are reported to be chasing former Sheff Weds manager Brian Laws, but will not make an appointment until new finance is found. Loan Bull Lee Morris will be having a dry Christmas after Mansfield boss David Holdsworth slapped an alcohol ban on his players. Northwich have dumped their Administrators from the firm that handled Chester's summer fiasco to another. They have a Christmas Eve meeting with creditors in the hope of agreeing a CVA, with the taxman indicating they will accept the latest proposals, after last week's meeting was cancelled as the former Administrators still had some of the paperwork. Burton have extended the loan of Brentford striker Steve Kabba for a second month after his arrival sparked an upsurge in form. They have also spent thousands on new frost covers for their pitch. Kidderminster have named midfielder John Finnegan, a former Cheltenham captain, as their caretaker boss. Northampton have signed former Wolves keeper Billy Lumley on non-contract terms as cover over the Christmas period. The 19 year old has been with Glenn Hoddle's academy side. Ex-Bull Marlon Jackson has extended his loan at Aldershot for a second month. Chesterfield have extended the loan of Scunthorpe man Ian Morris for a second month. Chester's Deva Stadium has fallen foul of the same regulations that have seen the Bulls' Blackfriars End closed. The local safety advisory group has closed the Harry McNally terrace until remedial work can be done on the crash barriers meaning the 17 year old stadium has failed the same safety tests that the 40 year old concrete on the Blackfriars End also succumbed to. The club say the work will be done shortly, however it is unlikely to be done before their home match with Barrow on Monday - and the club's financial position and low gates would suggest the work is a low priority. The closure of the terrace would mean that the ground would fail Football League entry rules if they were in a position to seek promotion. "I was happy to meet and speak to the latest person who has shown an interest to buy the club because they were prepared to meet my asking price. In the past I have had to deal with a lot of time-wasters and people who were just in the business of attracting some publicity. Friday’s meeting produced the first person that was really serious in buying the club. I’m now hoping we can take the matter to the next stage and see the sale happen." Saturday 26th December 2009 KO 3.00 pm. The Bulls travel to Torquay on Boxing Day for the penultimate match of 2009. Originally playing as Torquay Town they shared their Plainmoor ground with rivals Babbacombe competing in the Plymouth and District League alongside the reserve sides of nearby Exeter City and Plymouth Argyle. The two sides eventually merged in 1921 to form Torquay United and played in the Western League and were later elected to Division 3 (South) of The Football League replacing Welsh club Aberdare. Their first season saw them finish bottom having won just eight games, drawn fourteen and lost twenty. They were duly re-elected and finally gained promotion in 1960 albeit for just two seasons. Their fortunes have varied both on and off the pitch ever since as they flirted with relegation from The League…a fate which was finally confirmed at the end of season 06/07. Now safely returned to The Football League, Torquay currently lie in nineteenth place just three points adrift of The Bulls. Visiting fans are accommodated on the covered Sparkworld Terrace at the Warbro Road end of the ground. Admission is £16 for adults, £13 for concessions and £6 for U16’s. In addition, round 200 seats are usually made available in part of the Main Stand. HUISA – departs from Radford’s at 9.00 am. Fare £18. Book through Club shop (08442 761939). The Torquay Supporters Club “Boots and Laces” normally admits visiting fans and has a reputation for being friendly whilst O’Conners near to the ground and The George Inn on Babbacombe Road have both received recommendations. Meanwhile, the local Wetherspoons can be found as The London Inn at 15/16 The Strand. There are two chip shops close to the ground. The Plainmoor Fish Bar can be found at 143 St Marychurch Road with Rosies Fish and Chips at number 175. Torquay Football Club are reported to be optimistic that the Boxing Day League Two fixture against Hereford United at Plainmoor will go ahead. The ground has been frozen but with warmer conditions expected in the South West from tomorrow onwards the game should go ahead. New Home Office stats released today show that at November 10th there were 15 Hereford United supporters with banning orders. Neighbours Shrewsbury Town had 27 orders whilst Grimsby supporters topped the League Two list with 41. 20 Hereford United fans were arrested last season. 4 were arrested at home games and 16 at away games. Mark Yates has been appointed manager of Cheltenham Town. Below is part of the briefing from Whaddon Road. Cheltenham Town Football Club and Kidderminster Harriers Football Club have reached an agreement for Mark Yates and his assistant Neil Howarth to join Cheltenham Town with immediate effect. The two clubs have agreed a compensation package and Mark Yates will begin work as Cheltenham Town manager on Wednesday 23 December in time to take charge of the home match against AFC Bournemouth on Boxing Day. Neil Howarth will take on the role of first team coach at Cheltenham Town and existing assistant manager John Schofield will remain in post as assistant to Mark Yates. Hereford United manager John Trewick will find out how well Yates has settled in when the two clubs meet at Whaddon Road on January 9th. Darlington's former chairman, who sent the club into Administration with £7.8million of debts, says he would put £6million into new players and coaching staff if he was still in charge. George Houghton says that a drop to the Conference would mean 'extinction' for the club, and that his original belief that current chairman Ray Singh was able to take the club forward 'does not seem to be the case'. Crewe defender Scott McManus has gone missing from a loan spell at Curzon Ashton. The youngster was originally signed from Unibond side, and made half a dozen first team appearances, but has not been seen or heard from since October. Lincoln are expected to sign veteran striker Jamie Cureton in January on loan. The forward was a trainee with current Imps boss Chris Sutton at Norwich. They are also expected to conclude a deal to extend the contract of defender Cian Hughton until the end of the season. Torquay will sign former Bulls trialist Chris Zebroski on a permanent deal in January after his goals fired them up the League table. Local paper reports say a £25,000 fee will be paid to Wycombe after he scored four in five games after returning to Plainmoor on loan. Bournemouth's match with Notts County last night was called off after three pitch inspections. Locally based Football League ref Keith Stroud believed the pitch was playable when he was called in at 1pm, and passed it fit again at 2.30pm, but match ref Gavin Ward cancelled the match within 15 minutes of arrival. Northampton boss Ian Sampson may be forced to sell striker Adebayo Akinfenwa in the January window if the right cash offer comes along. The former Swansea man has scored nine times this season, but is out of contract in the summer and looking for a move back up to League One. Stockport are expected to sell Captain Michael Raynes as their financial situation remains desperate. Scunthorpe are reported to have made a £75,000 offer. Bournemouth are giving a trial to striker Chris Sharp, son of former Everton forward Graeme, who has been prolific in the League Of Wales. Crewe have confirmed making 'the best offer that the club can make' to sign goalkeeper Steve Phillips on a permanent deal from Bristol Rovers. Herefordshire Council have agreed to extend the leases on Edgar Street says Graham Turner in an article just published. "Earlier this month we had a good meeting with the Richardson Developers. We need their permission to redevelop the Blackfriars End. Our respective architects have been trying to find enough common ground to satisfy all parties involved, the Council who are the freeholders of our ground, the Richardson’s who are the tenants and ourselves who are sub tenants," Turner told the Official Site. "To complicate matters further there are two leases on the ground one which has ten years to run which is for the majority of the land, the other which is for the strip of land containing the Merton stand has fourty-seven years to run. "Having poured over different plans and Legal documents over the past few months I know that the whole issue has been fraught with difficulties, however maybe the solution is finally in sight. "The Council have indicated that they are willing to ensure the long term future of the Club is made a little more secure by providing new long term leases, that is appreciated. We have further meetings scheduled for the next three weeks when all the issues should be resolved." Turner also revealed that the issue with the barriers on the Meadow End had been solved at least for the current season. More speculation this morning about Mark Yates, currently at Kidderminster, and former Bull Jimmy Harvey, who is at Chester. Both managers are said to be interested in the vacant job at Cheltenham but comments by chairman Paul Baker could be aimed more at 39 year old Yates than the somewhat older Harvey. "Someone who is young, hungry and will appeal to the supporters,” appears to be what Baker is after. However Harvey, who hasn't signed a contract at Chester, might fancy a move to Kidderminster if he fails to land the Cheltenham post. Hereford United have announced that the club shop will be open tomorrow Wednesday from 10am to 4pm for that last minute Christmas present. Today it will close at 12 noon and on Christmas Eve it will be open from 9am to 12noon. In other club related news there are plenty of ticket remaining for the away game at Cheltenham on Saturday January 9th. The game is all-ticket for Hereford United supporters. The draw is set to take place on 28th December when Hereford entertain Aldershot Town. Crewe boss Dario Gradi says he will have to cut the wage bill at Gresty Road to balance the books. The club have ten players, including some of the higher earners, out of contract in the summer and those that want to stay will have to take pay cuts. Grimsby have loaned young pair Grant Normington and Matthew Bird to Frickley for a month. Port Vale are to ask Stoke if they can use their indoor training facilities as Vale's own training ground is frozen solid. Kidderminster boss Mark Yates has confirmed speaking to Cheltenham but 'it was wasn't an extensive chat'. Rochdale have extended the loan of Rotherham midfielder Jason Taylor for a second month. Watford have opened talks with Wycombe about closer ties between the two. Watford want first dibs on Wycombe's talented players, and will offer their younger players on loan in return if the deal is concluded. A group of HUFC fans who regularly travel to away games are to play a friendly match against their Aldershot counterparts before the “main event” at Edgar Street on the 28th December. The supporters game will take place at Hereford Leisure Centre with an expected kick-off at 11.00 am. Post match drinks, along with a sausage and chips lunch, have been arranged at a local alehouse after the game. Bulls legend Jimmy Harvey fancies the Cheltenham job after local speculation put his name in the frame. Speaking to the Gloucester Citizen, Harvey made no attempts to dissuade speculation: "I am very flattered that some of the Cheltenham fans have mentioned my name. I am working at Chester now, but I am not under contract and I am still living in Hereford." Harvey, who is likely to be one of the 48 people to have applied for the job, has had a torrid time at Chester with the players on the verge of striking over unpaid wages and the club's future still up in the air. He has lost his physio after he became fed up with not being paid, and has seen his attempts to bolster the squad wrecked by the financial state of the club. A move to Whaddon Road would prove to be financially advantageous to Cheltenham compared to current favourite Mark Yates, whose appointment would require a compensation fee to be paid to Kidderminster for his services. However Harvey may hang on at the Deva after Chief Executive Bob Gray confirmed to the Non-League Paper that talks over the sale of the club would happen on Monday. Meanwhile former Bulls striker Trevor Benjamin is reported to have left Woking already. He played three games for the club without scoring after arriving a month ago, but appears to have been released two weeks ago from his non-contract deal. Notts County are hoping to tempt a Norwegian telecoms millionaire to invest in the club. Sven Goran Eriksson flew to Spain this week to meet Idar Vollvik, who has operated a number of mobile phone companies and jumps over cars. Port Vale have loaned transfer listed midfielder Ross Davidson to Nantwich for a month. He is the last of the players transfer listed by Micky Adams to find a new club. Cheltenham loanee David Pipe has been charged with wounding and will stand trial in January. The charge relates to an incident in September that left a man with a fractured skull. His parent club, Bristol Rovers, say they will not take action until the result of the trial is known. Forest Green have denied claims by Wrexham that they have had a bid for banned striker Andy Mangan rejected. They say they have received no bids, with his ban expiring on Monday. Grays have transfer listed their entire squad after losing to Worcester in the FA Trophy last week. The club have used 46 players already this season, and boss Julian Dicks expects to sign more in January. Rochdale have extended the loan deal for Hull winger Will Atkinson for another month. Steve Tanner is set to referee Hereford United's League Two match at Torquay on Boxing Day. The Avon-based official refereed several matches at Premiership level last season but this season he has only been in charge of Championship and lower games. The Bulls last met Tanner at MK Dons in April 2008. The result was a goal-less draw with Wayne Brown having an excellent evening in the Hereford goal. To date this season Tanner has been the man in the middle for 12 games and has given out 35 yellow and 2 red cards. Meanwhile the last time the Bulls played at Torquay was in early May 2007. That day some 756 fans made the trip to the south coast to witness a 0-0 draw. The HUISA coach will depart from Radford’s at 9.00 am for the Boxing Day away game at Torquay. Tickets cost £18 and can be booked through the Club offices (08442 761939). Please note the reduced Christmas period hours. The office will then close for the festive holiday, opening only between 11.00 am and 3.00 pm on Monday 28th December for the Aldershot match and between 9,00 am and 12 noon on Thursday 31st December. The office will again be open between 11.00 am and 3.00 pm on Saturday 2nd January prior to the home match against Crewe before returning to normal hour on Monday 4th January. Fans are reminded that reduced price tickets for U10’s should be purchased/ordered by 4,00 pm two days before a match. The few former Bulls that managed to get a game today were in the goals for their respective sides. John Eustace scored an equaliser, but it didn't stop Watford losing at Peterboro to lift the Posh off the bottom of the table. Adam Stansfield scored the only goal of the game as Exeter beat Southend. Febian Brandy scored for Gillingham and Michael Rose for Stockport as the Gills beat the Hatters. Tamika Mkandawire scored to put Leyton Orient two up but they could only draw at Walsall. Only two games across the weekend survived the weather in League Two. Grimsby drew 1-1 with form team Morecambe to put themselves within two points of safety on Friday night. On Saturday Rochdale hammered Shrewsbury 4-0 to increase their lead at the top of the table to seven points. Bournemouth play Notts County on Monday night for the Sky cameras, but even that game remains in doubt. Only four of 34 games survived across the three divisions of the Conference, none of them in the top flight. Newport beat Staines 1-0 in Conf South to stretch their lead at the top to 12 points. Lincoln City's squad were already in Herefordshire when last night's League Two game was called off. "We wanted to play the play game because we don't want games to be called off," said Lincoln manager Chris Sutton. "We were already in Hereford and had prepared well. "Yes, we've got a couple of injuries, but the players have trained well and we would have been able to name a fairly strong side. "The spirit in the camp has been good. There's no reason why it shouldn't have been. We lost to the league leaders last weekend and won't come up against a better side than that this season. "No one expected us to beat Rochdale, but last night we would have had a better chance of getting something from the game. "They only played on Tuesday night which possibly would have helped us." The Lincolnshire Sports Echo says that the game is to played 'early in the new year'. With no match this weekend for Hereford United supporters we take a look back at the headlines from ten years ago and the lead up to the visit of Leicester City in the FA Cup. The mild-mannered reporter Clark Kent used to transform himself in telephone boxes. Robin Elmes, head of German at a Catholic comprehensive school in Birmingham, does it in penalty boxes. Elmes, who will lead Hereford United's attack at home to Leicester City in the third round on Saturday, was already a super-hero with the students at Bishop Walsh School after heading the goal which knocked out Hartlepool. When the draw gave the Nationwide Conference club a home tie against a Premiership team studded with internationals, everyone wanted a tug of his cape. As he arrived at school the next morning, the secretary handed him a note which read: "Central TV 10.20, Midlands BBC 10.45, Sky Sports 11.00." In the staff-room he discovered that tabloids and broadsheets alike made him man of the match against Hartlepool. In class, too, the plaudits flowed, many pupils having watched live television coverage of the match. He might have been carried away by it all but for one budding Jimmy Hill, who announced bluntly: "The ball went in off yer ear, Sir." Elmes admits he has scored better goals but none more precious. For hard-up Hereford it has generated a sell-out crowd of 8,800 plus TV revenue and commercial spin-offs. On a personal level it has produced a Jim'll Fix It-style opportunity, at 29, to compare himself with a current England striker, Emile Heskey, and to pit his wits against defenders such as Matt Elliott and Frank Sinclair. When they were in France at the World Cup finals last year, with Scotland and Jamaica respectively, Elmes was switching between two Dr Martens League clubs, Bromsgrove Rovers and Halesowen Town. He was then a centre-back, as he was throughout his degree course at Keele University, and with his first club, Boldmere St Michael's. It was not until Christmas that Halesowen tried him up front, where he last played in the sixth form at Poole Grammar School. Although he scored regularly, what impressed Hereford's chairman-manager, Graham Turner, was Elmes' partnership with a forward called Steve Piearce. Turner, who turned Steve Bull from an under-achieving West Brom reserve into Wolves' record marksman, snapped them both up last summer. "At my age I thought it could be my last chance to play at that level, which is as high as it gets for someone in my job," Elmes says. "Steve went full-time but unfortunately he has been injured most of the time. For me, it's been the best move I've made in football." Professional players tend to be disdainful of erudite colleagues; an A-Level is often enough to attract monikers like "Brains", "Prof" or worse. Revealing that he is known as "Elmo", Elmes says: "I seem to remember that was the nickname of the fat, balding barman in Brush Strokes, but I like to think it comes from my surname." Any doubts his new colleagues may have harboured about his pedigree were dispelled when he hit Hereford's winner in a friendly against Wolves on his debut. After missing a week of pre-season training - "In my job I can't pick and choose when I go on holiday" - he eventually came off the bench and had already scored seven goals for the Bulls before Hartlepool's visit. "I was wary beforehand because we were live on Sky. I kept thinking that if I had an absolute nightmare, or got sent off, I'd be slaughtered on the Monday. I was also very conscious of the need to avoid swearing. As a teacher you have to set standards and practise what you preach. "When I was playing for Boldmere I got fouled really viciously and the referee did nothing. I swore and was sent off. As I trudged off I saw some kids from school, so I called over, 'Do as I say, not as I do'. On my birthday I received several red cards. "As it turned out, I was caught on camera spitting on the ground against Hartlepool. My mother-in-law spotted it, which has had me excommunicated from my wife's side of the family." All will be forgiven, one suspects, before Leicester hit Edgar Street. Quite apart from relatives, the number of Elmes' colleagues with tickets for the tie will far exceed the spaces in the school mini-bus which sufficed in the previous round. His preparations have not been ideal. With Hereford's only other part-timer, the electrician John Snape, he trains two nights a week with Oldbury United. Most evenings are spent marking (though not the kind to which Elliott will doubtless subject him). "I try to get it all done at school by six o'clock, but I'm also head of year, so I've a lot of responsibility. Fortunately I don't need much time off because the Conference regionalise midweek games. The head, Mike Moran, is very supportive and I try to reciprocate with extra-curricular things like helping with the football and cricket teams." Leicester promise to be a searching examination; mocks, finals and an Ofsted inspection rolled into 90 minutes. However, Elmes recalls how his boyhood favourites, Bournemouth, beat Manchester United when they were Cup-holders, and takes heart from the way Stevenage and Rushden & Diamonds held Newcastle and Leeds respectively in recent seasons. Then there is Hereford's own Cup tradition. Ronnie Radford must wish he was on a royalty for every time his brutal winner against Newcastle is replayed. While Elmes claims he never nets from such range, he likes the idea of popping in a goal that will have people reminiscing 25 years from now. "We have to have an exceptional day and Leicester a terrible one. I've watched them on Match of the Day and it was frightening. They're all genuine, hard-working British pros with no prima donnas who won't fancy a muddy pitch on a cold winter's day. They've also got pockets of real class but I'm confident it won't be boys against men." A draw would delight Hereford, not to mention their bank manager. But maybe, just maybe, Sir's ear for goals will spring the last great giant-killing of the century.